Why spend hours sourcing the best wholesale Christmas products, when we're here to help with our great range of tried and tested wholesale Christmas supplies? We have a perfect range of wholesale christmas decorations and tableware, available in a variety of styles and colours, not to mention a huge range of popular wholesale Christmas gifts, toys and confectionery. Here at Harrisons Direct we have Christmas all wrapped up with our fantastic selection of wholesale Christmas products, which means you can sit back, relax and enjoy the festive period without any fuss, or you can try anyway! 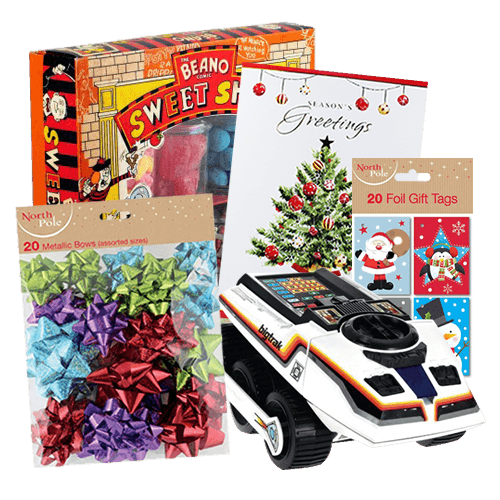 From wholesale Christmas cards and decorations available in a selection of traditional and fun styles to our ever growing range of wholesale Christmas toys and gifts, we’ve everything you’ll need to help make it a Christmas to remember for all your customers. Love them or hate them Christmas Cards are customary at Christmas and here at Harrisons Direct we stock an extensive selection of wholesale Christmas cards to suit the tastes of all your customers. From traditional Christmas scenes including the Snowy Scenes and Tree & Wreath cards to fun festive illustrations like the Cute Nativity and Reindeer and Santa cards we’ve something for everyone. Perfect for creating a winter wonderland and helping your customers get into the festive spirit we stock an extensive selection of wholesale Christmas decorations. Nothing says Christmas like tinsel, paper chains and sparkly Christmas Baubles, all of which we stock here at Harrisons Direct. Present buying can be a hapless task, not to mention incredibly stressful during the run up to Christmas. Luckily we stock an extensive range of wholesale Christmas gifts that will help make present buying a doddle for all your customers. From soft Aroma knitted toys and Baylis and Harding Gift Sets for her to Star Wars memorabilia and Gift Sets for him, here at Harrisons Direct we have all bases covered when it comes to wholesale Christmas gifts. Helping to make parents and of course Santa’s job that little bit easier over the festive period our range of wholesale Christmas toys is not to be missed. Keep it traditional with our range of Jigsaws, Games & Puzzles and Soft Toys or stock up on this year’s must have Electronic Toys and Scooters that are guaranteed to top many kid’s Christmas lists! 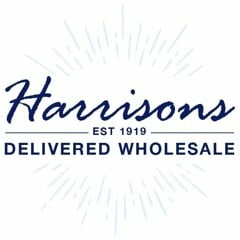 It now pays to buy your wholesale Christmas products from us here at Harrisons Direct following the launch of Harrison’s Rewards. For every purchase you make online you’ll earn reward points, which can be redeemed against future orders to get money off! Why purchase wholesale Christmas products from Harrisons Direct? With over 95 years experience in the wholesale industry we understand the importance of a timely and reliable delivery service to all our customers especially during the festive period, which is why we use Interlink Express as our selected couriers, they’ve a 98% success rate in achieving next day delivery. Ensuring you don’t miss your delivery we use state of the art technology to notify you with a one-hour window. Can’t find what you’re looking for or have a question you’d like answering? Feel free to call our friendly customer care team on 01254 306840 for assistance.